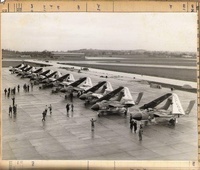 The First Sea Vixen Squadron to form up with the FAW Mk1, 2/July/1959. Embarked HMS ARK ROYAL in March 1960. Equipped with Sea Vixen Mk 1's 1959. 892 Squadron initial delivery of Mark 1 A/c (from records of Allan Briggs) XK484 208, XJ489 209, XJ490 210, XJ491 211, XJ486 212, XJ513 213, XJ514 214, XJ487 215, XJ493 216, XJ515 218. Date not known for changeover to Sea Vixen Mk 2's. Embarked October 1960 to February 1962 H.M.S. VICTORIOUS. 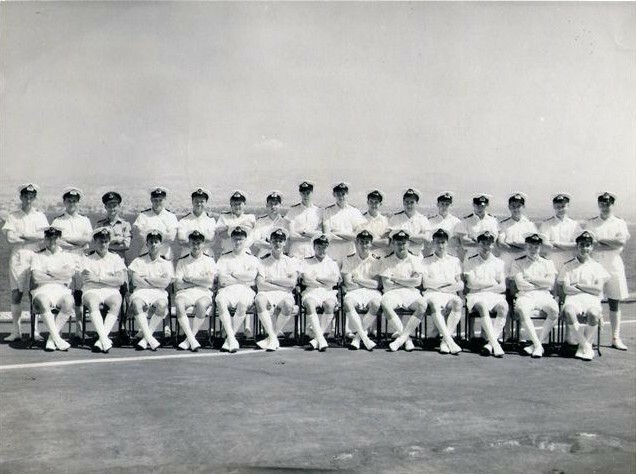 Disembarked to RAF Tengah, Singapore 8/4/61 to 19/4/61. Squadron fly by for opening of the new International Airport of Paya Lebar, Singapore. Change of CO 15/5/1961. 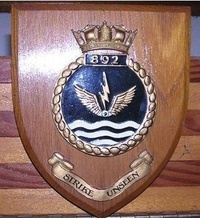 Now Lt. Cdr. Alan Gray. RN.